Wenn es um Menschen geht, muss Management zu Führung werden: Was zeichnet eine gute Führungskraft aus? Keine Anleitung und kein Lehrplan für gute Führungskräfte, sondern eine grundsätzliche Orientierung. Weitere Literaturtipps finden Sie auch hier. Einen umfangreichen Ratgeber für formelle Anschriften und Anrede finden Sie hier. Ich freue mich über ein Feedback von Ihnen! ... on the following pages. Five tips per category. If you like to get detailed references, feel free to contact me. Just follow the link, if you would like to order this book on amazon. Beck, Don Edward and Christopher C. Cowan. Spiral Dynamics: Mastering Values, Leadership and Change. Malden: Blackwell Publishing, 1996. Print. Spiral Dynamics opens an easy access to sustainability, management culture and diversity management. The system of psychosocial development after Clare W. Graves describes the theory of cultural sociology to the point. It helps to define adequate procedures which are exactly tailored to the reality of an organization or an individual. 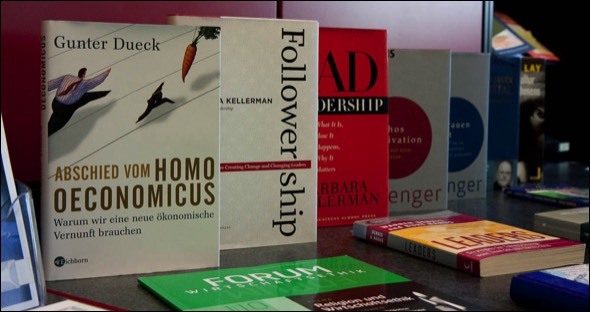 You will find recommended reading about business ethics here. I would like to read your Feedback!